The world did not want another Star Wars Story, apparently. Solo: A Star Wars Story has failed to meet its projected earnings at the box office. The movie's Memorial Day opening was expected to bring in between $130-150m. However, the movie has struggled to attract fans with Deadline reporting it will take just $114.2m, the worst opening weekend for any of the Disney-produced Star Wars movies. The relative failure of the spinoff, which stars Alden Ehrenreich as a young Han Solo, confused some box office analysts as it took the record for best preview gross on Memorial Day weekend of all time with $36m on Friday. Internationally, the movie took just $11.4m on its first day of release. All three of Disney's previous Star Wars movies made more domestically in their opening weekends than Solo did worldwide. 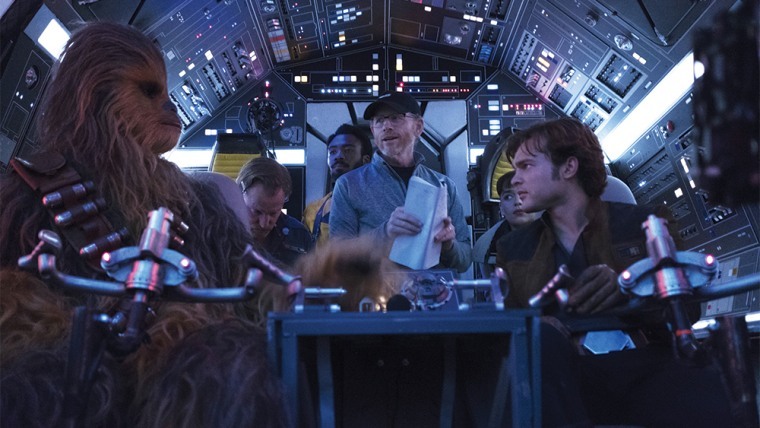 Director Ron Howard, who was brought on to the movie after Phil Lord and Christopher Miller were fire, acknowledged the box office results on Twitter. Solo comes just five months after Star Wars: The Last Jedi was released and amid a busy blockbuster season alongside the latest Avengers movie and Deadpool 2. In addition to Ehrenreich, the movie also stars Donald Glover as a young Lando Calrissian.